Dr. Jeff Sutherland has more than 30 years in improvement of Software Development. Sutherland is the Inventor and Co-creator of the SCRUM framework. 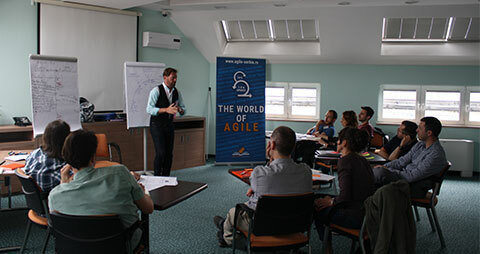 In 2001 he participated in creation of the Agile Manifesto. He is an author of the most popular Scrum book „Scrum: The Art of Doing Twice for the in Half the Time“, and established Scrum Principles. 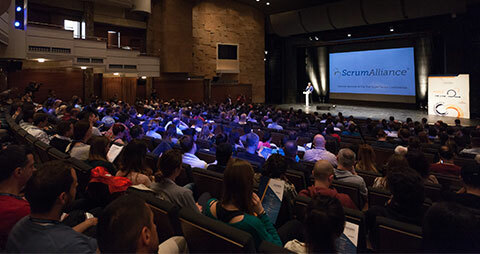 Scrum is the leading Agile framework and has since been adopted by the vast majority of software development companies around the world. Realizing its benefits extend well beyond software, Jeff pioneered the application of this lightweight framework to several other industries including: automotive, biotech, finance, and telecom. He is committed to implementing Scrum and the scaling of Scrum across the enterprise. Dr. Sutherland continues to teach and share best practices with Fortune 500 organizations around the globe. 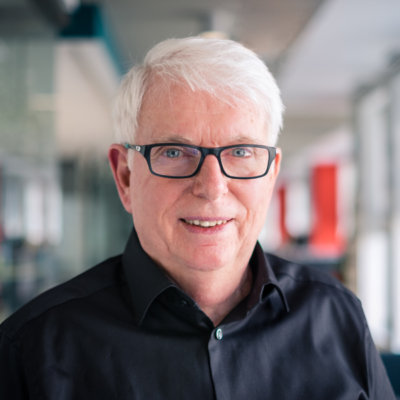 In 2018 Dr. Sutherland developed and published the definitive Guide to the Scrum@Scale Framework extending the practice of scrum enterprise wide. Jeff is currently the Chairman of the Scrum Training Institute, CEO of Scrum, Inc., Creator of Scrum@Scale, and Senior Advisor to OpenView Venture Partners where he is Agile Coach for the venture group and their 20 portfolio companies. 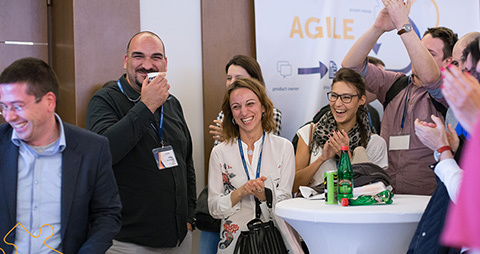 Jeff Sutherland is the keynote speaker at the 4th Agile Serbia Conference. Enterprise Agility means the ability to adapt changes easily, an ability and capability of a system to respond fast on changes and challenges. From the business side and point of view, agility most often represent quality that allows organizations and corporations to respond rapidly to change. The key question should be how to reach this level? Jeff Sutherland is definitely person able to provide great solutions for these challenges and to discuss regarding topic. For decades he improved software development, offered Scrum framework as a very power tool, designed to address complex adaptive problems. 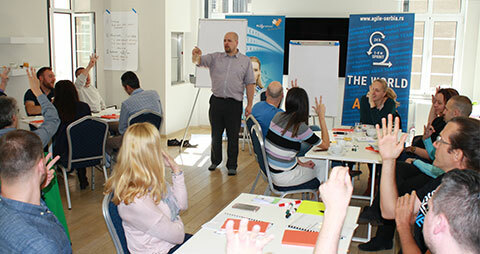 He went one step further in business organization improvement and developed Scrum@Scale. Scrum@Scale is the natural extension of well implemented Scrum, which can be used to run an entire organization. It was created to efficiently coordinate an ecosystem of multiple teams that optimizes the execution of an organization’s overall strategy. The Scrum@Scale framework is designed to be used across the enterprise as a whole: all departments, products and services. It can be applied across multiple domains in all types of organizations in industry, government, or academia. Jeff fully committed himself to define Scrum@Scale guide which contains the definitions of the components that make up the framework, including its scaled roles, scaled events, and enterprise artifacts, as well as the rules that tie them together. Over the years Jeff has been involved in Agile transformation of many giants and organizations, where he got proof of concept for his frameworks. He will describe the history behind this scaling framework and share his recent experience with clients like Saab, Toyota, 3M, GE, transportation and oil companies. His topic will explain how those experiences can be useful and implacable in similar challenges. He will discuss why a simple fractal model is essential to high performing Scrum@Scale, then why collocation is critical to performance or how to implement distributed teams that feel collocated. Also, why saturation of Scrum across an organization is essential to business agility.